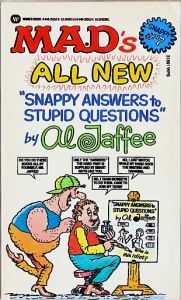 Abraham Jaffee (born March 13, 1921), known as Al Jaffee, is an American cartoonist. 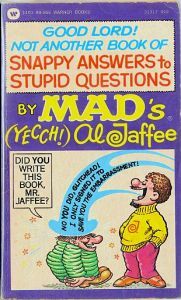 He is notable for his work in the satirical magazine Mad, including his trademark feature, the Mad Fold-in. 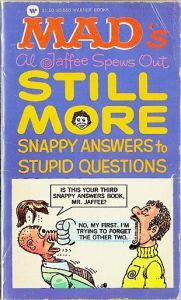 As of 2013, Jaffee remains a regular in the magazine after 58 years and is its longest-running contributor. 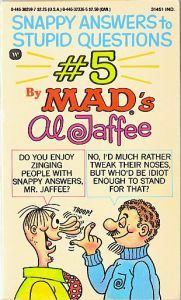 Only one issue of Mad has been published since 1964 without containing new material by Jaffee. 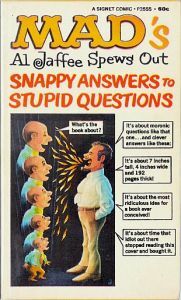 In a 2010 interview, Jaffee said, "Serious people my age are dead." 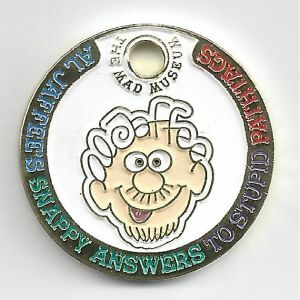 In 2008, Jaffee was honored by the Reuben Awards as the Cartoonist of the Year. 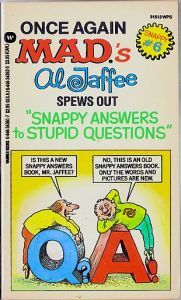 New Yorker cartoonist Arnold Roth said, "Al Jaffee is one of the great cartoonists of our time." 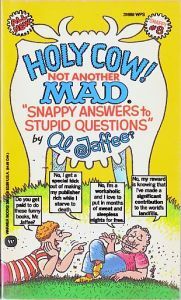 Describing Jaffee, Peanuts creator Charles Schulz wrote, "Al can cartoon anything." 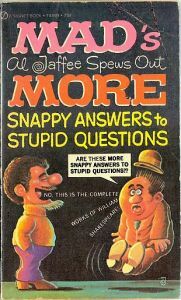 - Wikipedia.